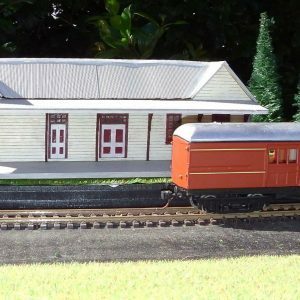 View cart “Ho scale building NSWGR A-2 Station with platform” has been added to your cart. 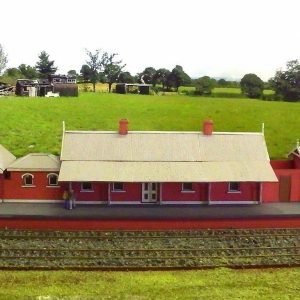 This VR Station is in Tylden, Victoria. Built from the original VR plans. 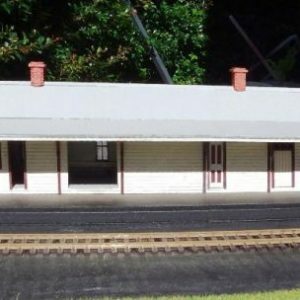 Tylden railway station, a former station on the Daylesford railway line in Victoria, Australia, was situated about 2.4 km to the east of Tylden township, near Central Road. The station opened at the same time as the Carlsruhe to Trentham section of the line on 16 February 1880, closing on or before 3 July 1978 when the line was closed. 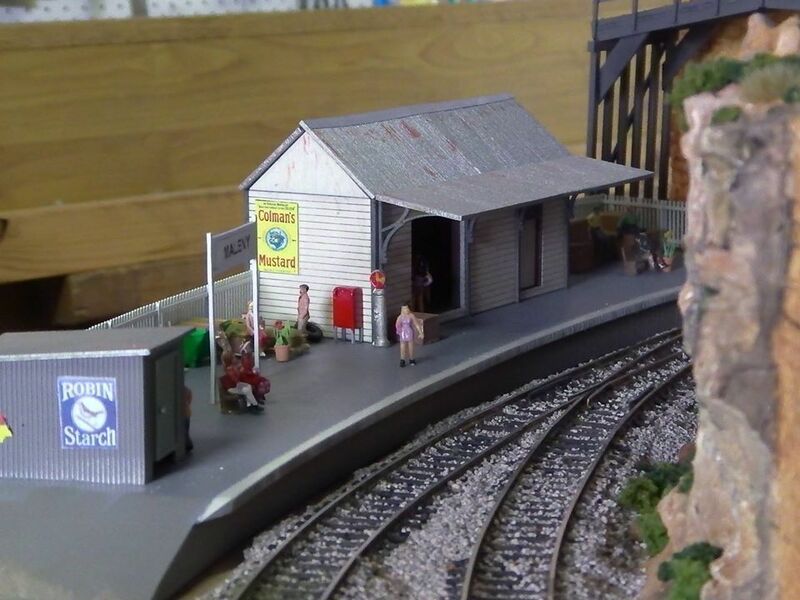 The tracks have been dismantled and the station building has been removed or demolished, but a single platform embankment remains. 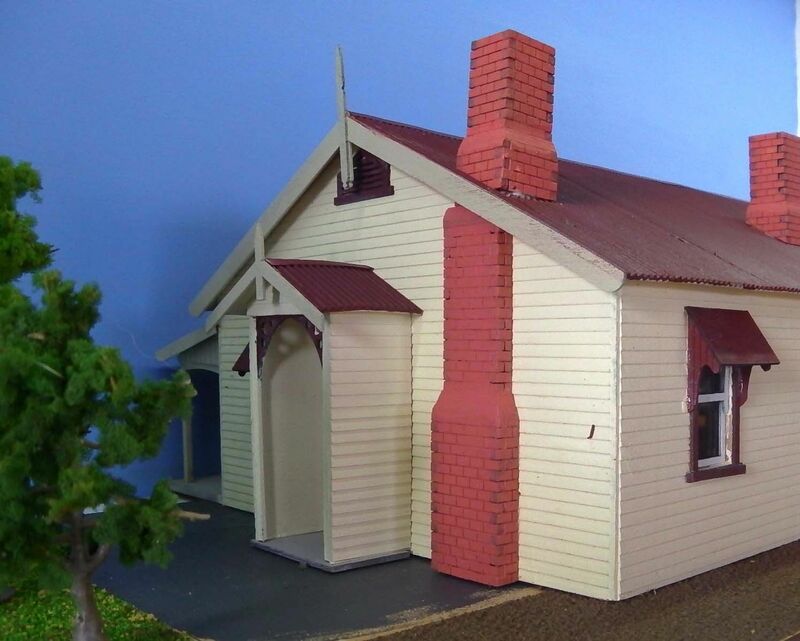 Ho scale building NSWGR A-5 Station. 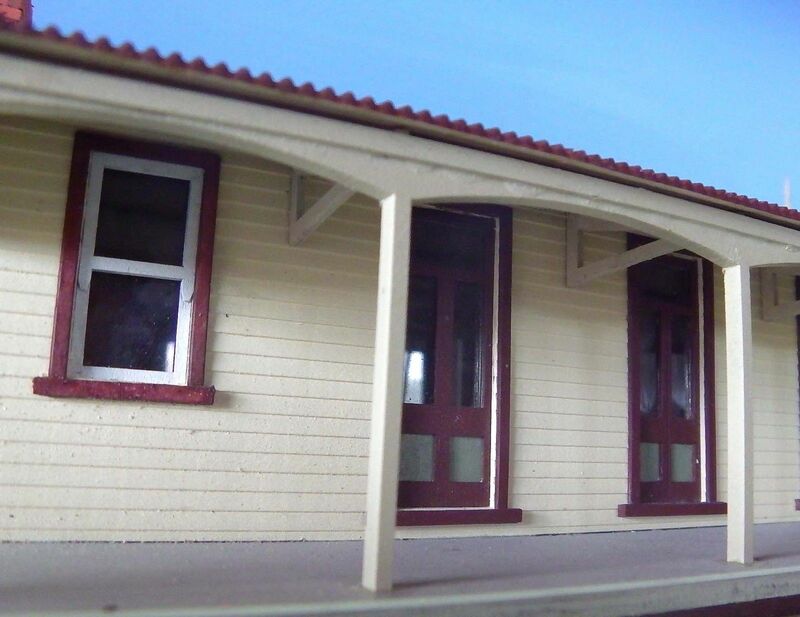 QR Gympie Station HO scale building kit 1:87 Scale.